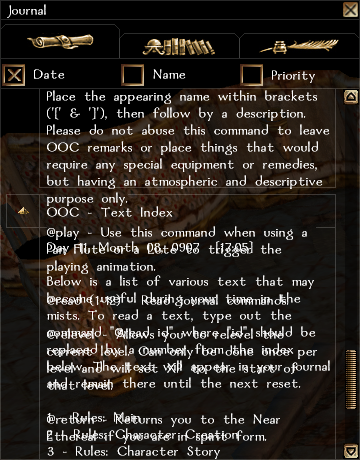 Shown here extending into "OOC - Text Index". If there is no journal entry below it for it to extend into then it just ends without being able to scroll down further. Thanks; I'll split that entry in two. This should now be fixed on the test server.